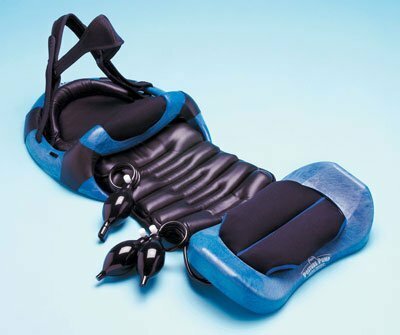 Designed by a doctor for relief of painful back symptoms and sore neck stiffness. When the spine has lost its curved shape, the discs are compressed and rich lubricating fluid is unable to penetrate. This causes premature aging in the form of stiff dry joints. When the spine is properly curved, nutrient-rich fluid is "imbibed" or drawn into the discs by their "sponge-like bellows action," promoting spinal balance and joint wearability. Posture Pump® was invented & patented by a doctor with over 25 years experience for home care of neck pain, back pain and stiffness. 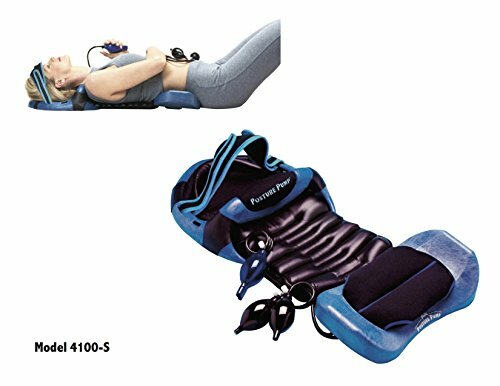 4100 Deluxe FULL SPINE Posture Pump : Got a bad back? This is the right equipment to correct it. Using the breakthrough technology of Expanding Ellipsoidal Decompression, this spine-correcting device was designed by A DOCTOR WITH 25 YEARS EXPERIENCE TREATING THE NECK AND BACK. Combines both Neck & Back Exercisers into one, and helps relieve head, neck and back discomfort, stiffness, stress, and fatigue. 1 year warranty North American Support and Services. Stretches ligaments and muscles back into correct form. Promotes disc lubrication & joint nutrition. 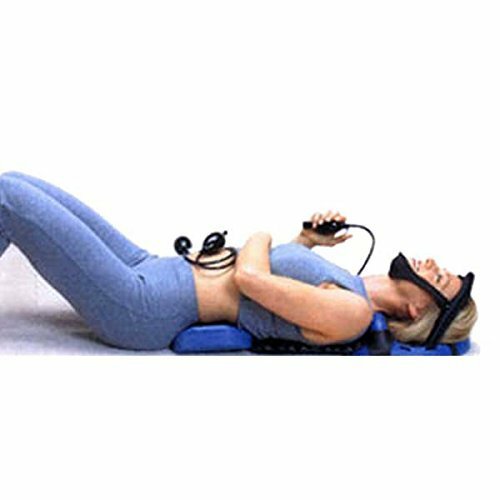 ;Rocking mechanism allows you to exercise abdominal and pelvic muscles while lower spine is stretched by elliptical inflation. ;One size fits all, including tall persons with a torso length of up to 38 inches from head to waist. 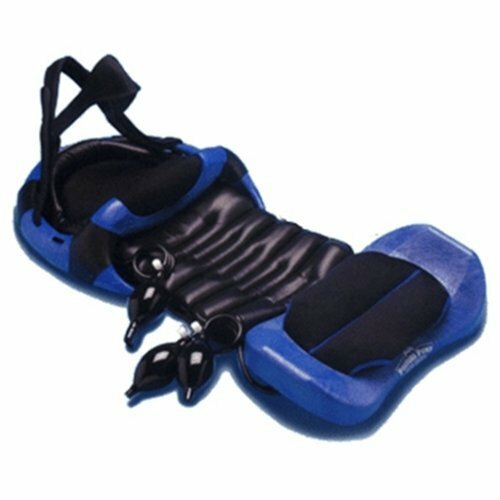 ;Easy to clean leatherette comfort pad attaches both exercisers and conveniently folds and locks together for easy travel. ;1 year parts and labor warranty. Get the Good Night Sleep You've Been Waiting for! When you sleep the weight from your hips causes your mattress to dip and your spine to curve; when you wrap your legs around the body pillow you keep your spine straight reducing strain and pain. 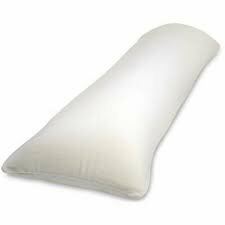 Body Pillows help reduce back pain! 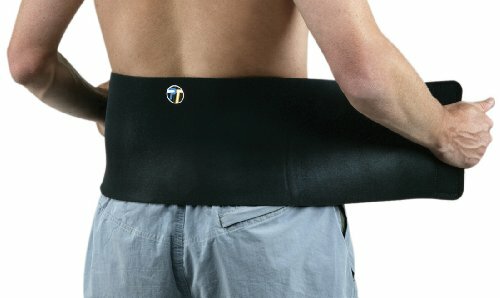 Can also be used as support against the back to hold body in place sideways and take weight off areas of pain. Many ways to use and finally get the good night sleep you need ! Copyright © Wholesalion.com 2019 - The Best Prices On Deluxe Full Spine Online.